I haven’t seen any reviews for this particular model and I really like it, so I thought I would whip something up for you guys. I got this from the Jaxmnve store (more pics there) on Aliexpress for about $11. It comes with a battery, charging cable (it has built-in micro USB charging), a simple lanyard, 2 spare o-rings and a small key ring. It only comes in CW. It’s a pretty traditional design. Twist for on or off. 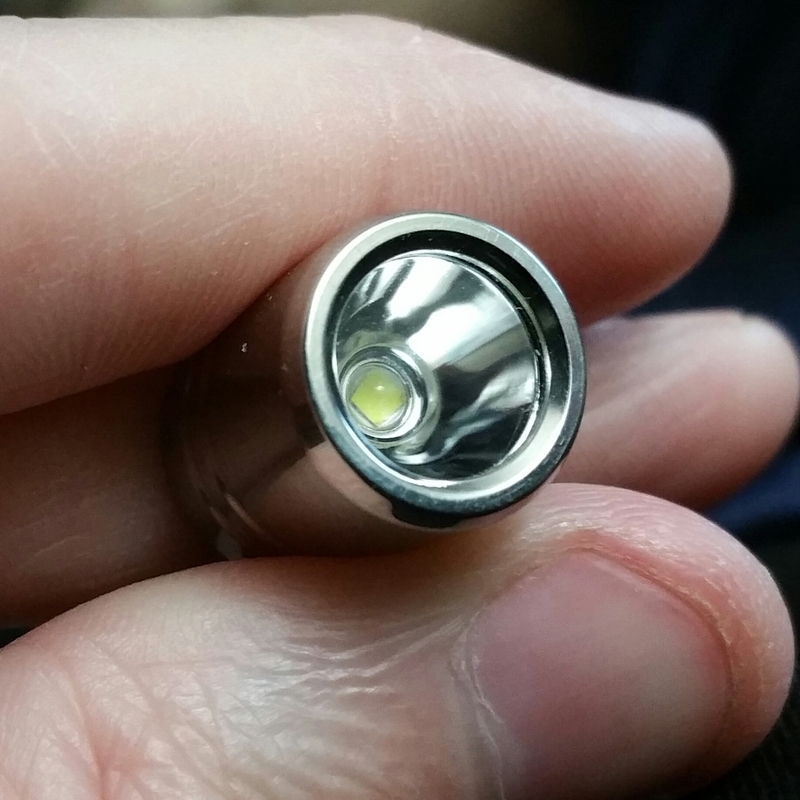 There’s only one brightness level of about 20 lumen and you get about 1 hour of use, so it’s simple. A full breakdown of runtime and brightness is later. It’s said to have an XPG2 emitter, I assume that’s accurate. You twist off the head to access the micro USB charge port. 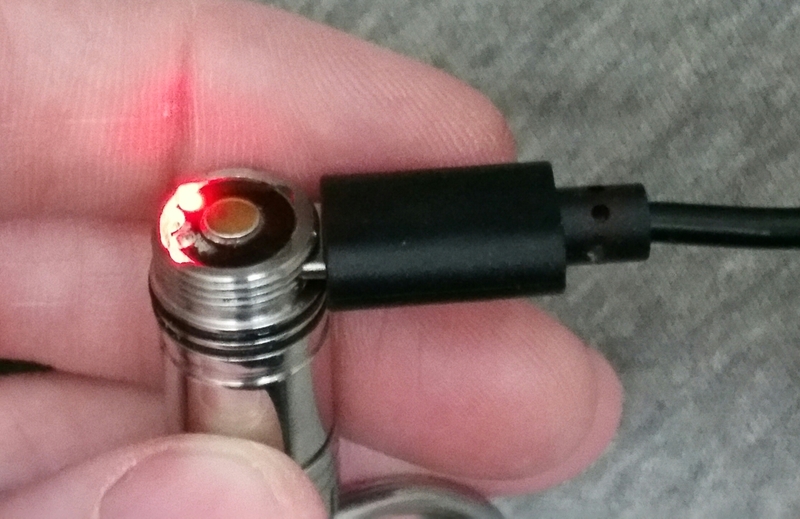 It has a red led to indicate it’s charging and it turns off once it’s done. I would have preferred a second color led to indicate that charging is complete, but I guess a single LED is okay. Charging may take between 1 and 1.5 hours. It has a maximum charge rate of 0.17A which is pretty high for what I guess is a 70mah battery. I’m not too worried about losing capacity faster the normal because these type of lights don’t get used very often so you’re not recharging them often. 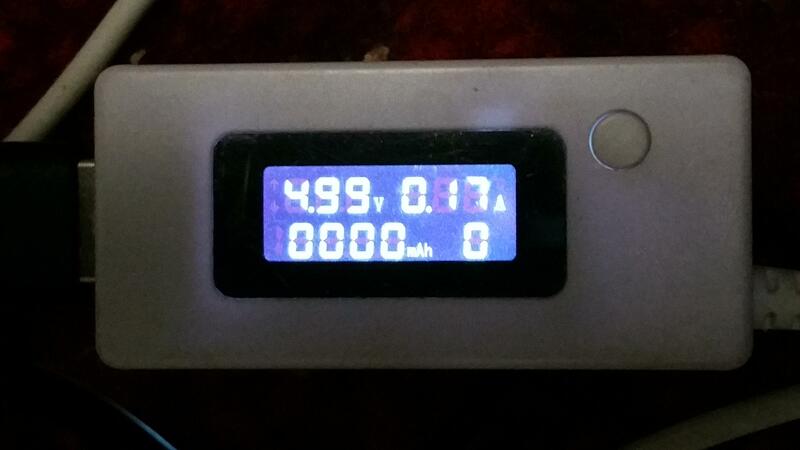 The fully charged voltage is 4.13v. A bit lower than normal, but perfectly safe. Here is a homemade chart showing the runtime, lumens and voltage in 5 minute increments. (Does anyone know how to make nice charts? Lol) I used my Maukka calibrated TA Lumen Tube. It’s not very accurate at below 1 lumen, but the light still shined even after 3 hours. 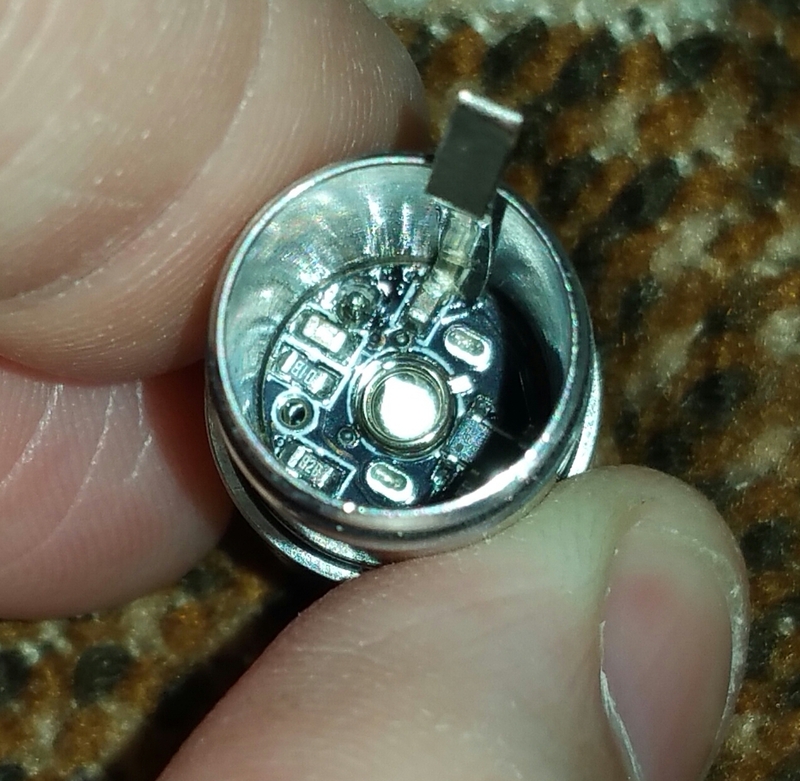 There is no low voltage protection (same for Zanflare F6 and F6S) so do be careful and not leave it running. I would summarize that it has usable output for about 1 hour. It’s more than enough light to use in an emergency situation and to keep you from stumbling around in the dark. The cool white beam is also very pleasant. I ended up buying four more of these as well as an aluminum version for some family members. 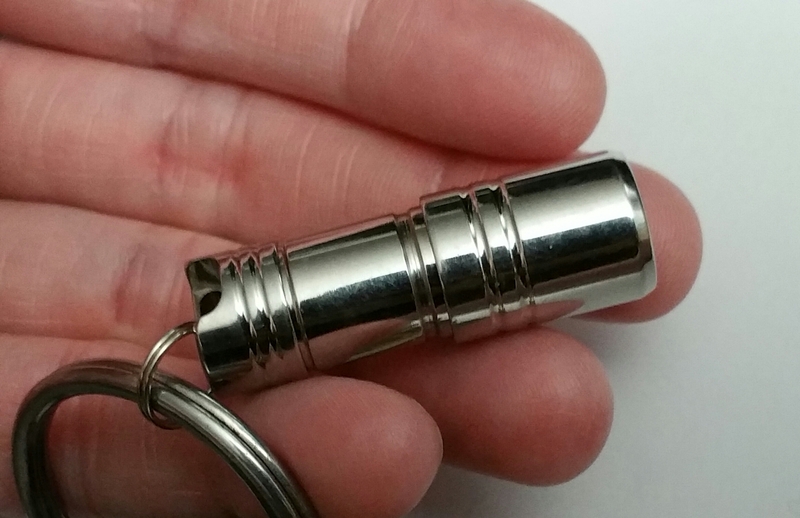 I’ve been thinking about getting a small light like these for my work keychain. 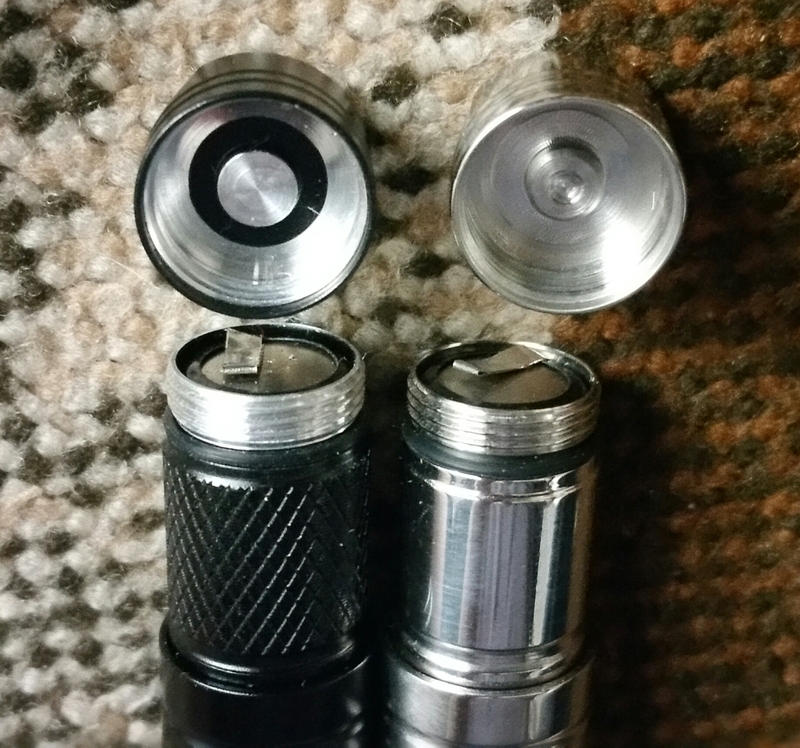 I have a Led Lenser K2 flashlight that works fine, but uses button cells! I guess I will replace it by one of these, someday! I also just recieved an aluminum version of the M1. 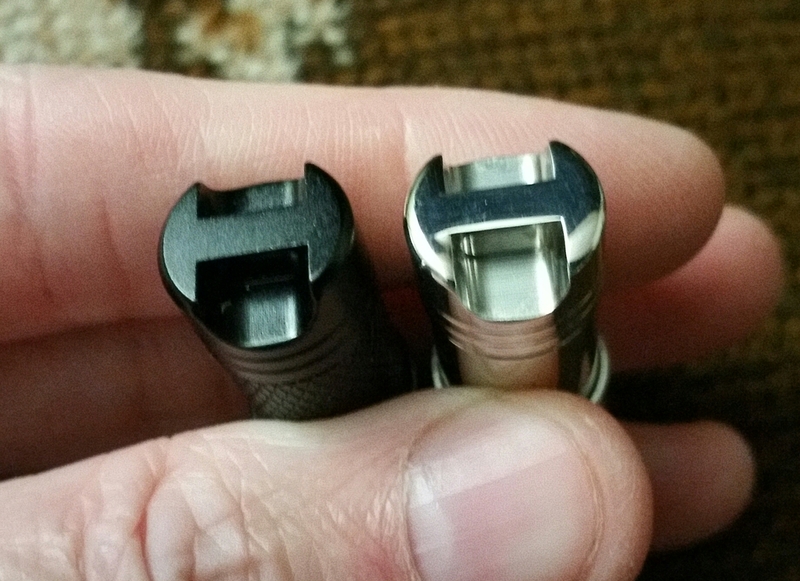 It’s pretty much identical except for knurling, black finish and a single o-ring for the head. 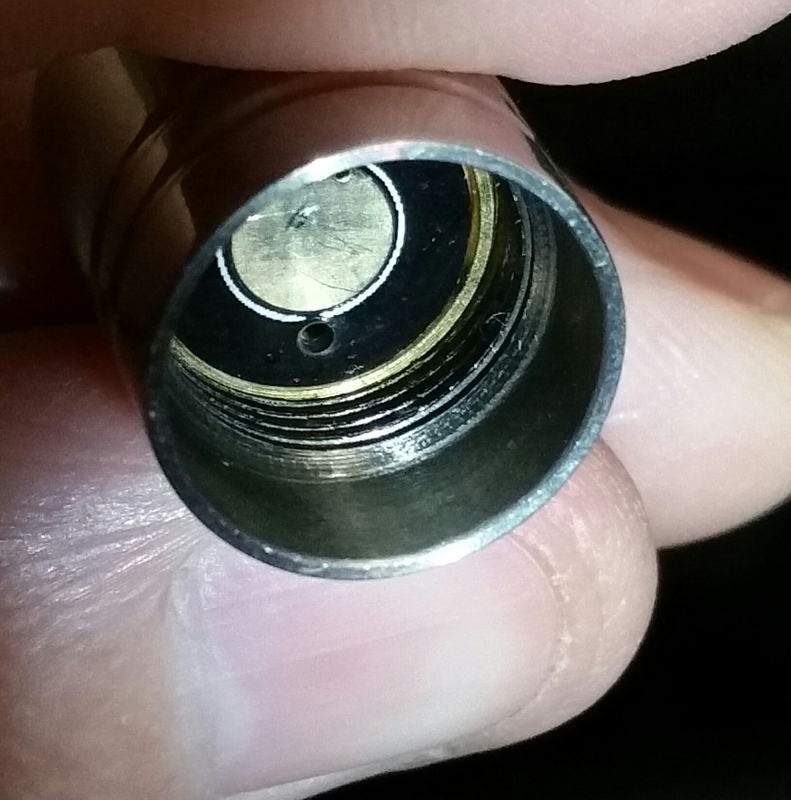 The internals look identical. The biggest difference is the weight. This aluminum version must be half the weight of the stainless steel. It’s super light which makes it easier to carry on a key ring, but it’s not as pretty as the SS version. 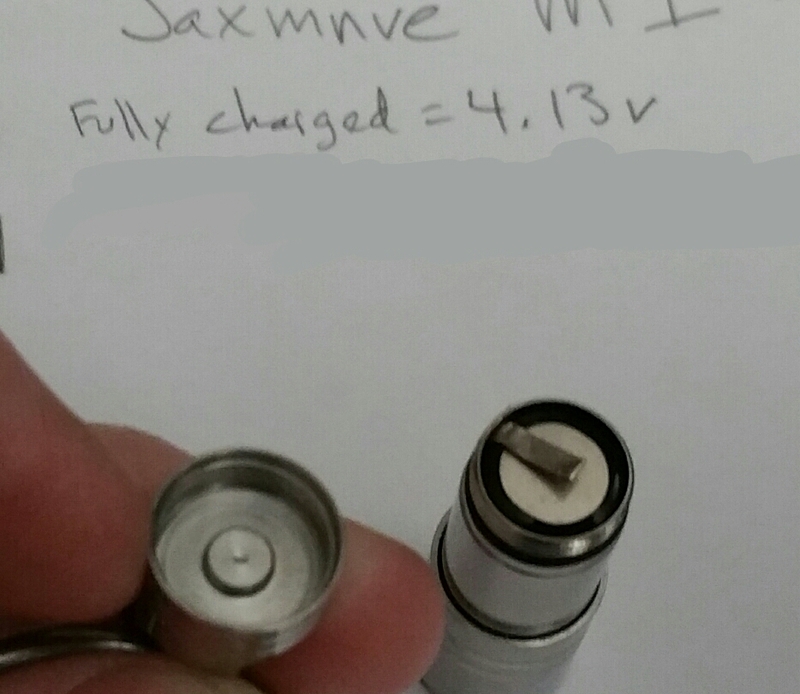 Is the Jaxmnve store still around? I had a light in my cart. AliExpress says its out of stock/discontinued. The store name in my cart is now “Jack WANG” but it doesn’t link to any store anymore. I don’t know. They may have shut down for the holiday, but I would expect them to be open by now. In the past they would just put a bunch of really high prices on everything when they were closed, so I don’t really know what’s going on with them. I would wait it out. They may pop back up soon. The name showing up for me is Shop3085011 Store, but they show no products. They also have a grey option. To be clear, those are not the Jaxmnve store. Honghong020 and Sports_deal365 seem to be big sellers of all kinds of stuff and happens to carry these lights. Hopefully they are the same good quality. 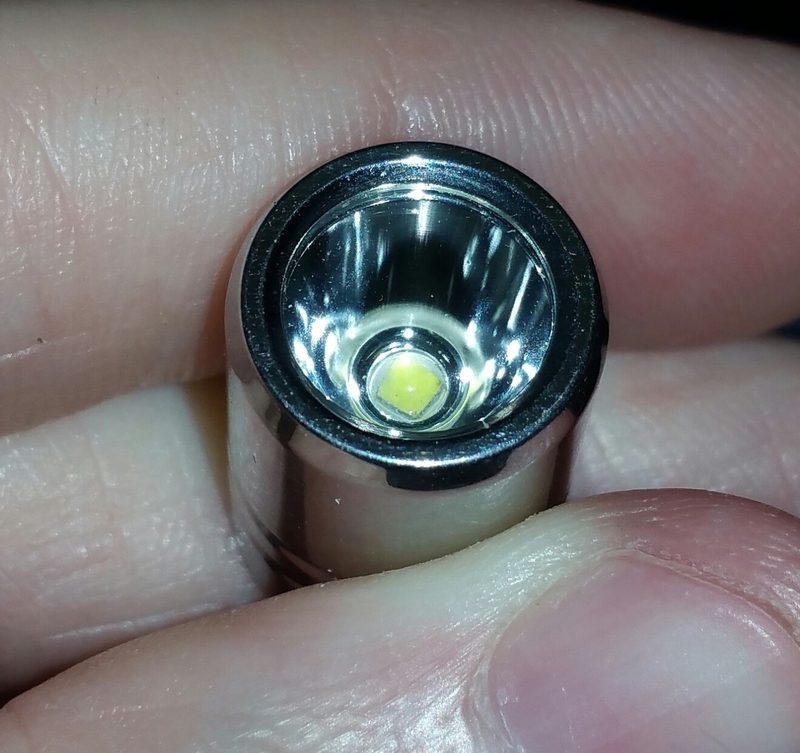 I had a similar Wuben light and also an Olight AA ,both with twisted switched and I personally don’t like em much, because inside the pocket,the light might swith on without knowing it. Would buy such a SS light with a swith in the bottom, but at least to be secured , avoiding getting turned on the light by itself. 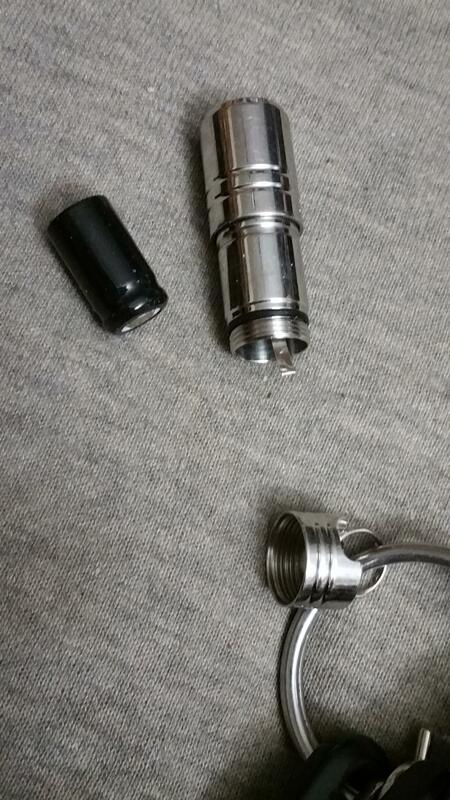 I’ve had both the SS and the black one on my key chains in my pocket and neither gets twisted on by accident. Give it about a half turn off. The rubber seals add a bit of tension. 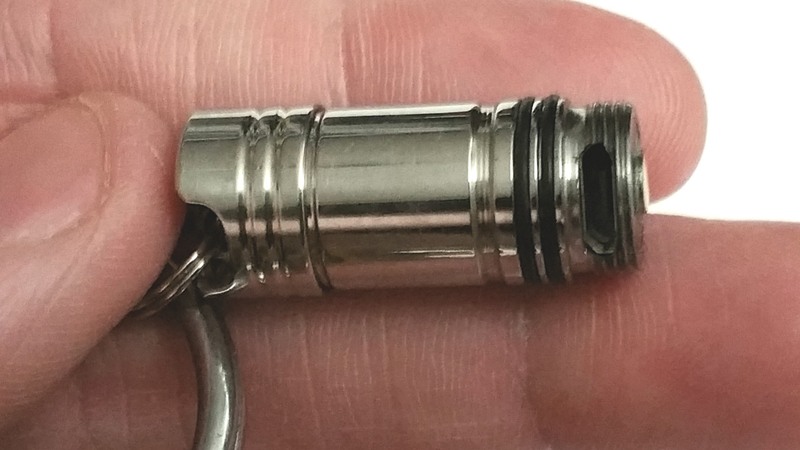 I’m in for a second keychain light. 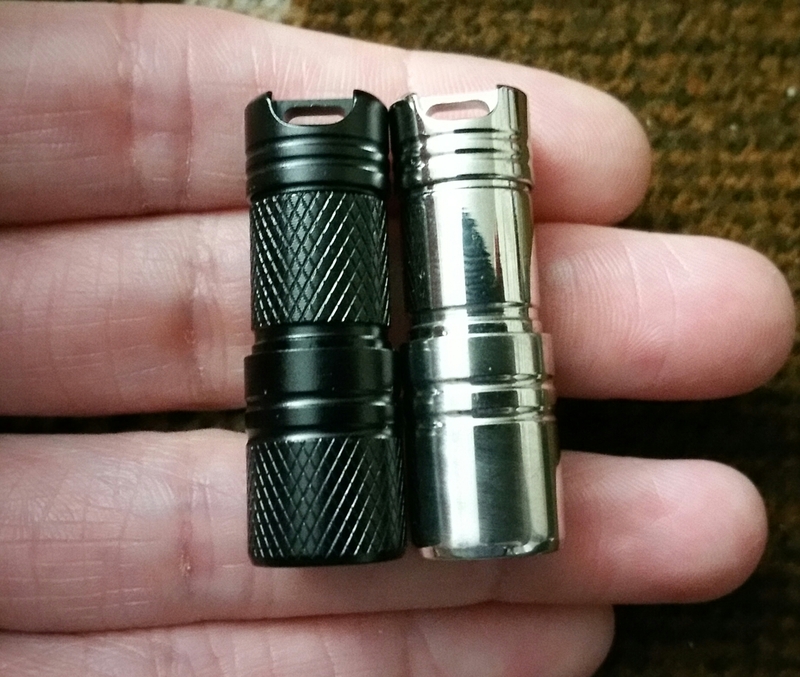 Any way to compare it to the Olight? 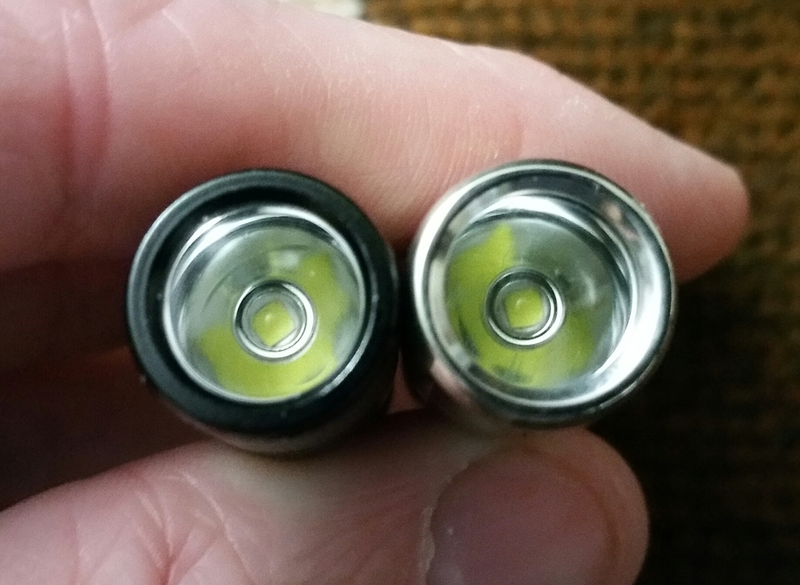 The Olight I1R EOS 130 Lumen light? I don’t have one to compare. 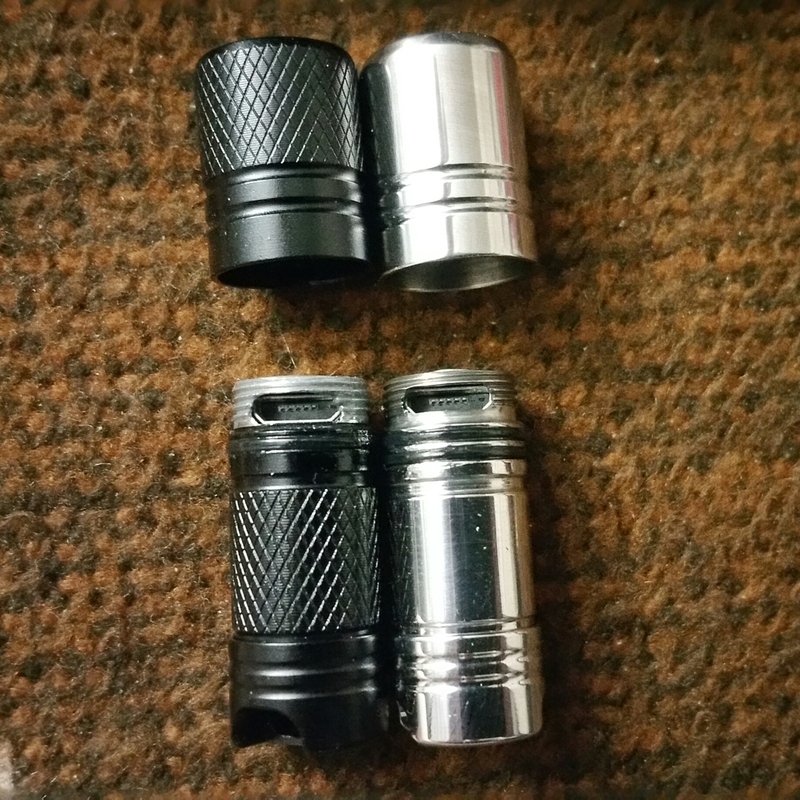 The Olight is more expensive, but has a 5 lumen and a 130 lumen mode. That’s a nice extra. It uses a tir lens instead of a reflector so it doesn’t have the wide spill light. It should have a narrow beam. This seller seems to no longer exist at AliExpress. There are lights available from other sellers, such as these.